I took the first shot from my front door today (February 25, 2015) after the sun came out and the second shot from my deck door today when the sun briefly knocked the clouds away. More snow is forecast for tonight but much of the snow we had from Tuesday had melted this afternoon with the sun and warmer temperatures so the fresh snow will probably only return us to where we were early this morning. 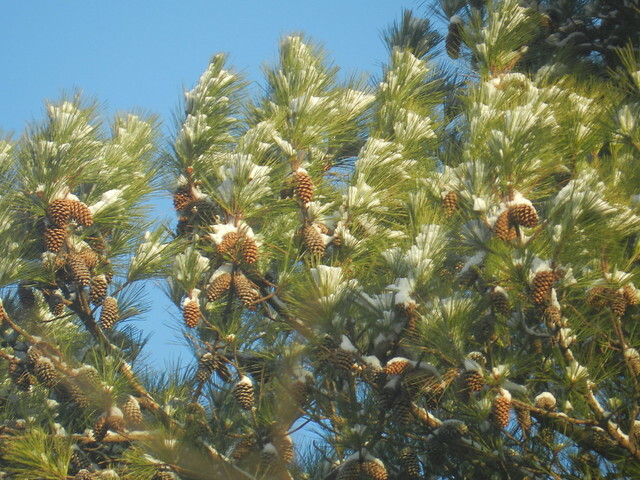 Beautiful shots....pines look stunning with a coat of snow. Stay warm. Beautiful combination of blue, green and white. Great pics for us. But I hope it gets warmer for you soon. Beautiful, snowy captures, Carver!! But it does look SO COLD!! Hope you have a warmer weekend!! 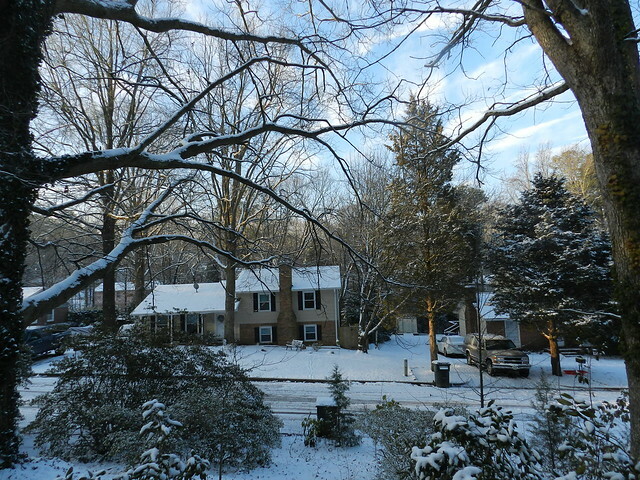 Love the snow and blue sky. Pretty snowy scenes, Carver! I hope the snow stops soon. The second shot is lovely, have a happy weekend! It looks beautiful. But still cold.